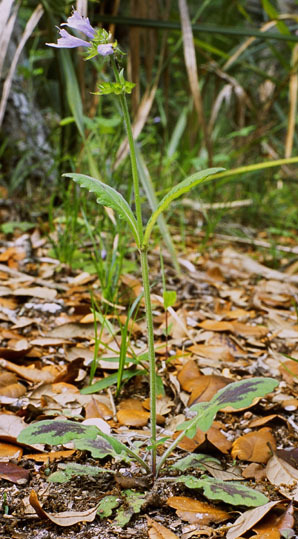 The common and specific names of this plant come from the often lyre shaped basal leaves, which can be either green or green mixed with purple. 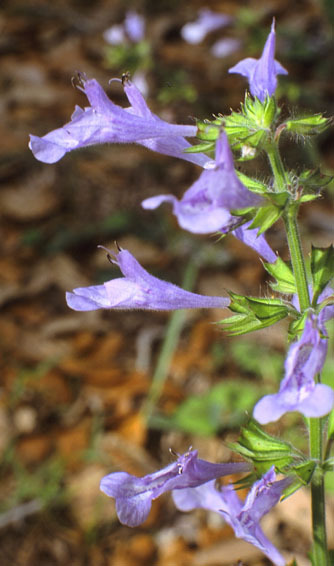 In Florida, LYRELEAF SAGE can bloom all year but is most noticable in early spring along roadsides. In addition to ruderal sites, S. lyrata can also be found in wooden areas and thickets. 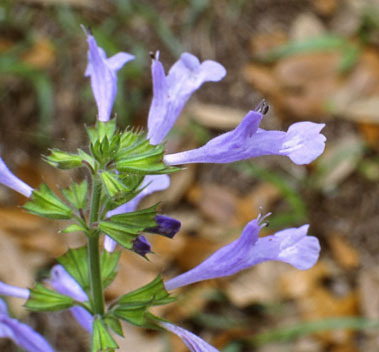 Salvia lyrata is a member of the Lamiaceae - Mint family.